When things are quiet around here, I have time to work on projects. But sometimes it is a long time between the last time I painted/stitched/dyed/doodled and the next time. To "limber up" my hands, I always do some practice projects first. This week, I've had some quiet time and I have spent some time doing watercolors. 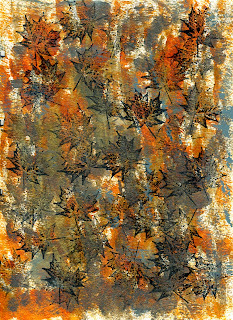 First, here is the cover I made for my journal. 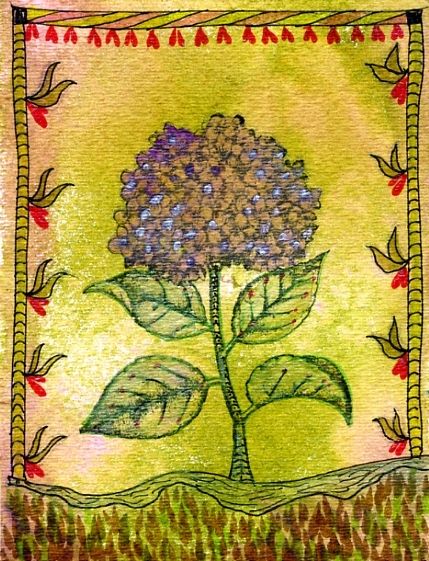 I prefer a larger format for my journal, so the cover measures 9 x 12 inches. 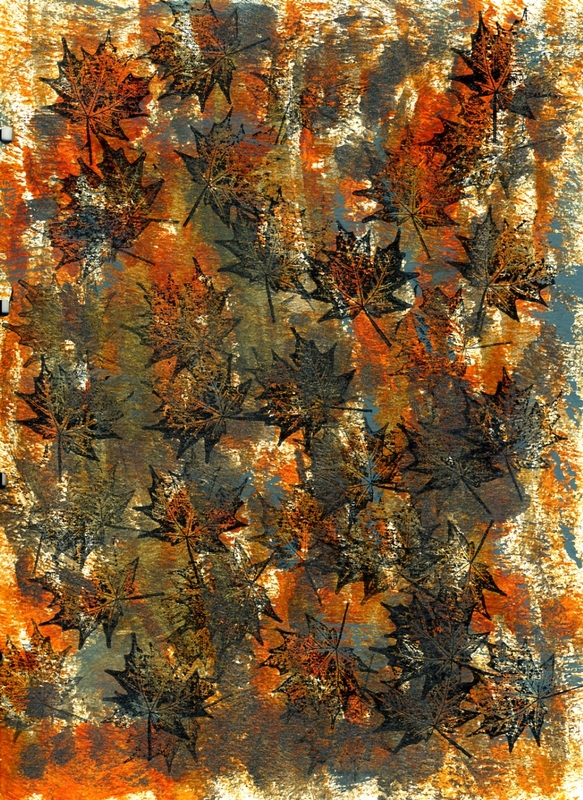 Since I actually started the journal last fall, I did the cover in autumn colors with drifts of rubber-stamped maple leaves floating across a watercolored rusty palette. 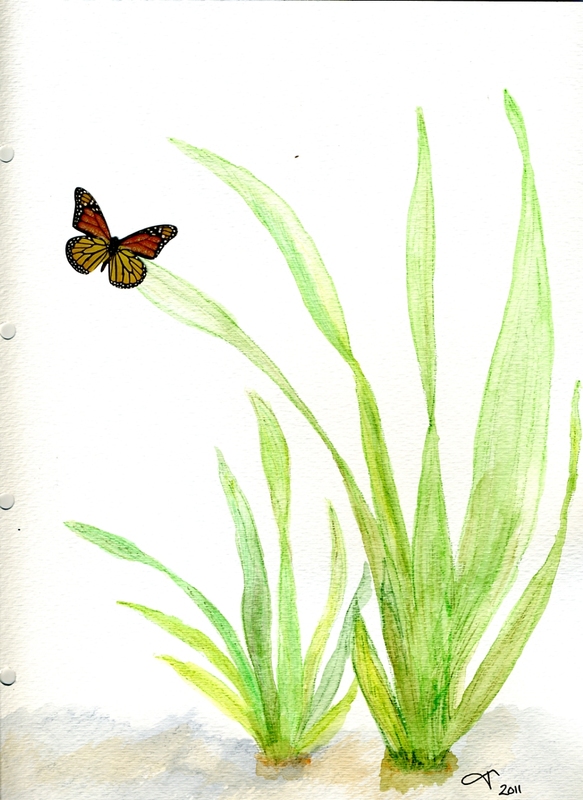 Next up, a more spring-like page. A pair of watercolor plants in early spring greens, graced by a paper butterfly. 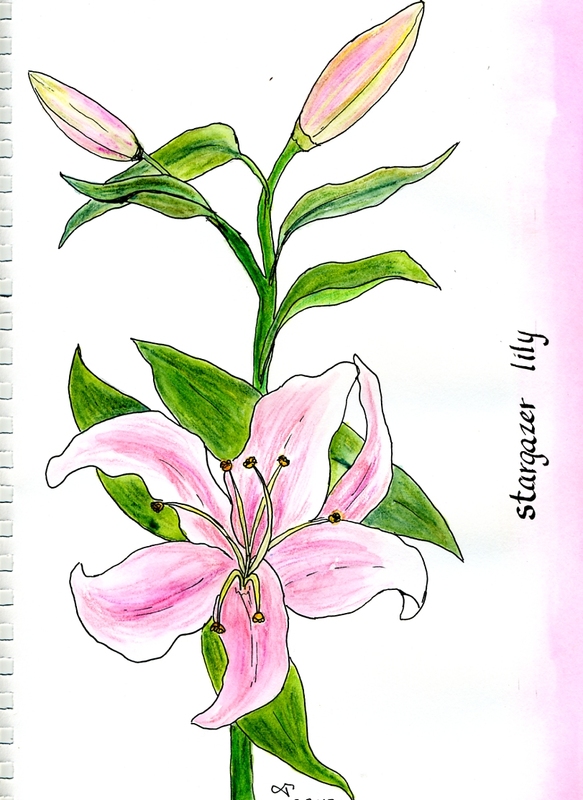 I went back and finished the painting of the stargazer lilies that I posted for Easter, added the ombre band of pink on the right, and the hand-lettered name. I did this batch of watercolor postcards all in one afternoon. 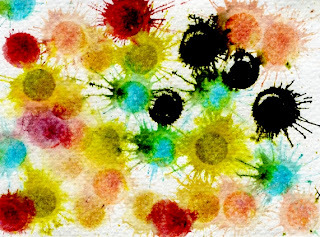 First, a whimsical splash of colors to celebrate my GD discovering that she likes watercolors. 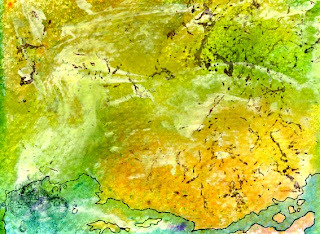 Next, a watercolor abstract map. 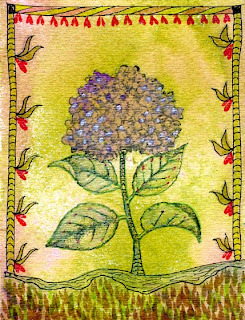 Then, whimsy took over, and I doodled this card, which simply started as a rubber-stamped hydrangea blossom on a twig. 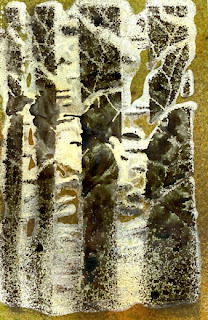 More whimsey and rubber-stamped work, bits of writing, a few circular stains, and some blobs of pale green gesso. 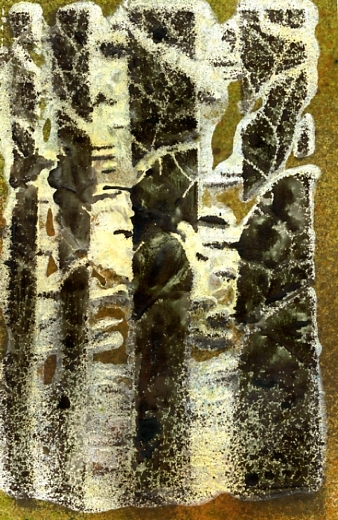 While I had the gesso out, I did this grove of birch trees. After that afternoon of drawing and painting, I'd better get back to work while it stays quiet.